The coffees heading into the Fifth Annual Força Café Championship auction Dec. 18 exceeded our expectations, without question. They’re delicious, and we’re thrilled to offer them. But really, we hope you buy these coffees because they’re important. 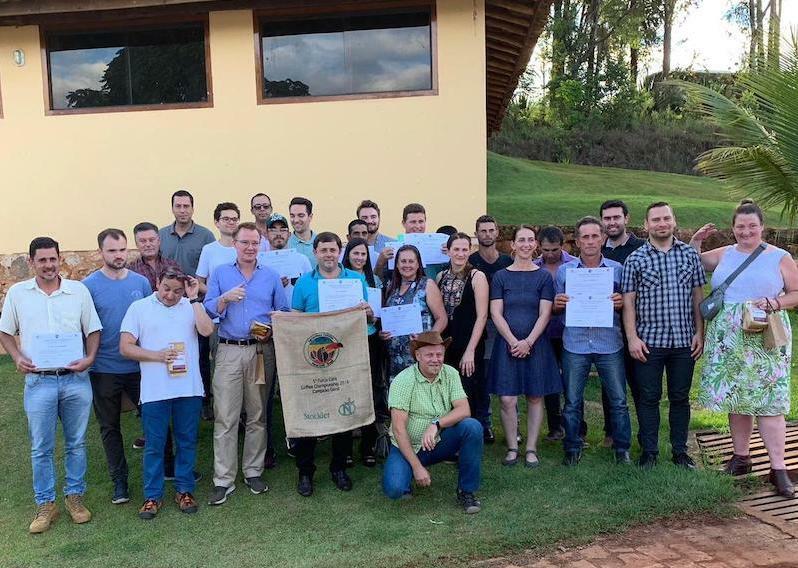 The Força Café Championship honors and encourages Brazil’s smallholder farmers—who represent 80 percent of the country’s coffee farmers, despite Brazil being better known for the 18 percent of farmers who produce the majority of its coffee. 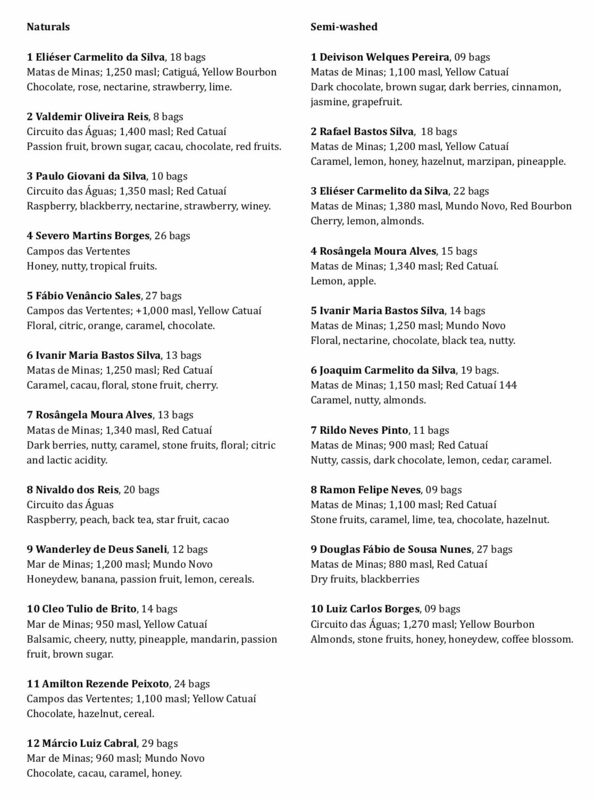 Further, roasters can opt to include a 10-cent premium to Casa da Crinaça do Jovem Amparense—known as the Kids House. Founded in the 1980s, it support the poorest communities around Santo Antônio do Amparo, offering children, young people and adults access to a variety of classes, from Taekwondo and Baroque sweet flute lessons to garage gate repair. 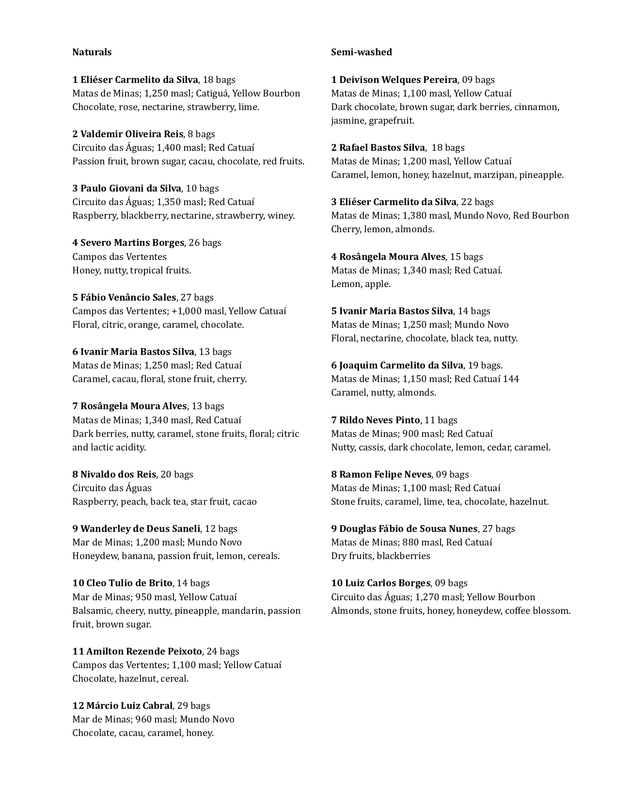 The 22 coffees below will be auctioned online Dec. 18, and we'll be purchasing some for spot availability as well. They couldn’t be more traceable, and their impact couldn’t be more direct or more meaningful. We hope you’ll consider becoming part of this tradition. The auction consists of three bidding rounds. The first round is Tuesday, Dec. 18; the second round is Wednesday, Dec. 19; and the third is Thursday, Dec. 20. Each round of the auction is from 09:00–16:00 São Paulo time (12pm–7pm Providence time). Participation is only possible via the internet by key bidders (InterAmerican will bid on behalf of any interested parties). Each bid will be automatically saved with a time stamp. For each participant, only the last bid within the defined auction period will be considered. Participants must bid on a coffee during the first round, in order to bid on it during subsequent rounds. Again: If you’re at all interested in a coffee, you must put in an initial bid, to have a chance for it later. 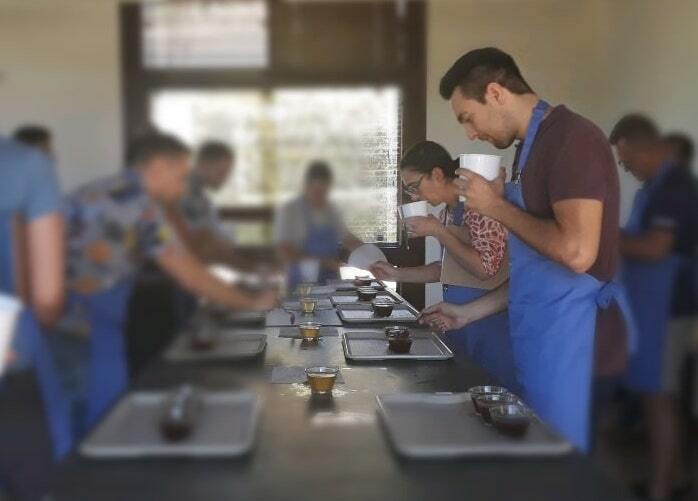 Finalists and judges at the fifth annual Força Café Championship at Fazenda da Lagoa. InterAmerican has green samples of these coffees to share but the timeline is tight; you’d need to cup them asap and let a trader know you’re interested by Friday, Dec. 14. If you’re willing to bid without tasting, you can speak with a trader—our entire team has cupped these coffees and can offer guidance. Again, by Dec. 14 you’d need to let a trader know which coffee you’re interested in, what price to start at and how high you’re willing to go. NKG Stockler (InterAmerican’s sister company in Brazil) will not participate as a bidder but only define the minimum price for the auction. However, NKG Stockler will act as buyer of last resort only. I.e., if there are no bids given on a lot, NKG Stockler will purchase the coffee from the farmer as defined in the regulation for the Coffee Championship. All premiums added to the minimum price will be forwarded to the farmer. Prices and bids are quoted outright F.O.B. in US cents/pound, due to the size of the lots. Minimum bid increases are US $00.10/pound. NKG Stockler will be the shipper for the coffees. The coffees will be prepared as NY 3/4, screen 14 up. Shipment period is January/February 2018. A joint shipment with another (existing) sale by NKG Stockler is possible. Minimum price (starting price) for each coffee is $2.50/lb (i.e., 250,00 UScts/lb). The minimum price in the first bidding round is defined by the regulations of the Coffee Championship, including already the F.O.B. and final preparation costs (composed of $3.00/lb for internal logistics, warehousing processing, packing, financing, insurance and port’s fee). The starting price for the subsequent bidding rounds is set by the highest bid of the previous round for each lot. The highest bidder of the last bidding round wins the auction. Bids are binding and can only be modified during the bidding process (see below). If the winner of a lot steps back from the purchase, the second bidder wins the auction. Only the final Top 12 Naturals and Top 10 Washed lots will be auctioned online. Other lots from the semifinals can be purchased through direct negotiation with Stockler. All premiums on auctioned coffees will be forwarded to the farmers.